1. Bake lemon cake per box instructions. If you can bake in two 8 inch round baking pans. I did this and then later cut each cake around the middle to create four round layers to fit easily into my trifle bowl. Otherwise bake in a rectangular pan and cut into slices or cubes to layer in the trifle bowl. 2. Mix pudding per directions then mix in the cream cheese (it will be easier to mix this if you leave the cream cheese at room temperature for about a hour to soften). Once the pudding and cream cheese are mixed and smooth gently fold in a 1/3 of the cool whip. 3. Time to layer all your ingredients. First start with one layer of the lemon cake. Next top it with a layer of the pudding/cream cheese mixture. Now another layer of cake. Now put a layer cherry pie filling. Repeat with Cake and pudding mixture and then cherry pie filling. Finally top off cake with the cool whip. 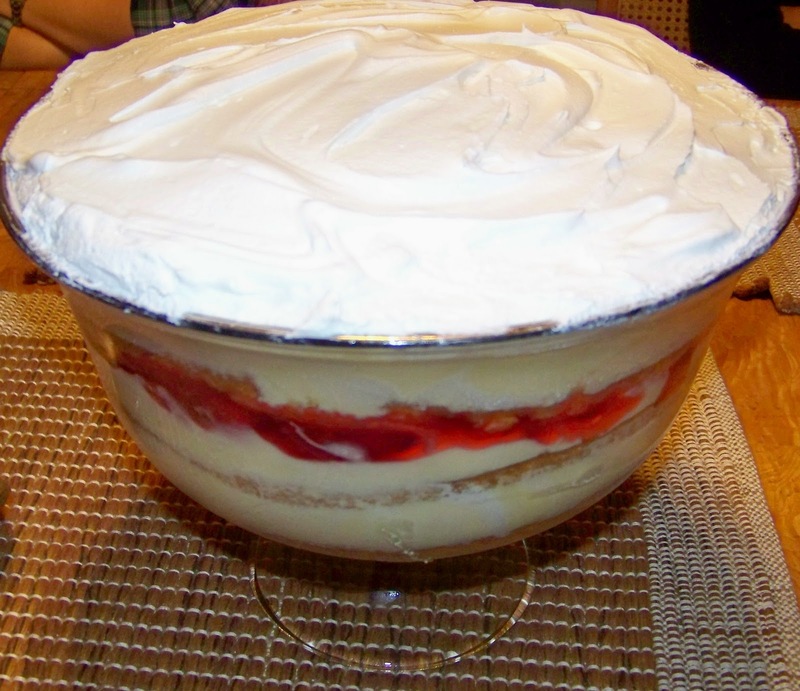 Allow the trifle to be refrigerated at least 8 hours before serving. Yum! This looks fab! Love anything cherry. Trifles are always so wonderful looking, but I have never made one before. This looks great! Trifles are a great way to use leftover cake and/or bread. Sometimes the day old pound cakes at the market are just perfect for this!